Get ready for a rustic holiday season with Kate Aspen's Personalized 12 oz. 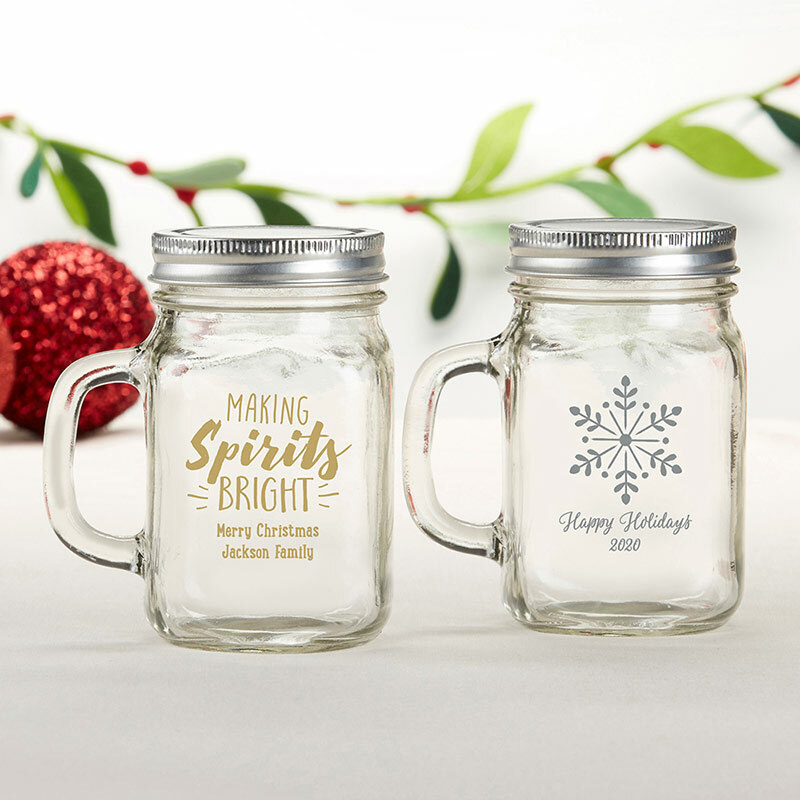 Mason Jar Mug with Holiday designs! 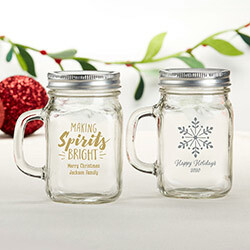 The vintage inspired drinkware holds a full 12 ounces of fluid, but with a metal screw top lid, it can also be used to hold small holiday cookies, candies, or decorations as part of your holiday décor. 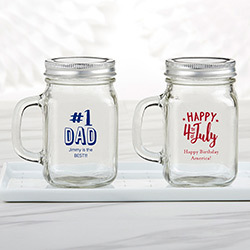 The glass drinking glasses with handles are just what you need for sipping all of those comforting beverages you need to warm up with friends and family!